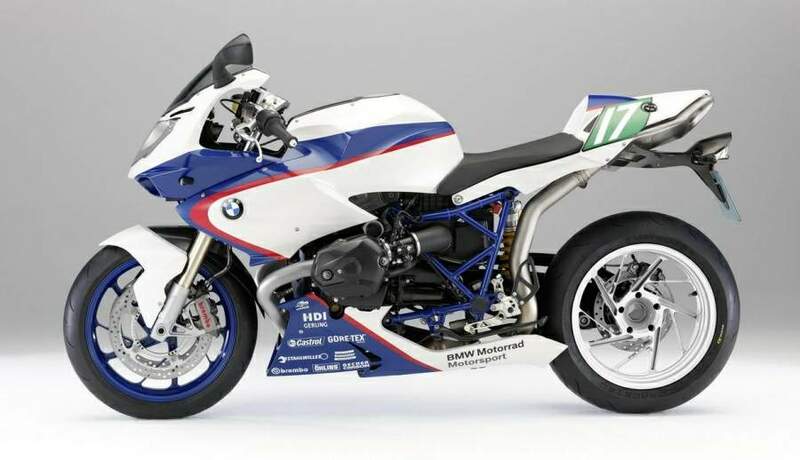 BMW limited edition version of the HP2 Sport – the HP2 Sport Motorsport – only 400 units of which will be built. The paintjob comes from BMW’s HP2 endurance racer, the boxer-twin churns out 133 horsepower and 115Nm of torque and the bike weighs 178 kilos dry. The bike will only be available in Europe, though prices haven’t been announced yet. As a BMW motorcycle in the fall of 2007 introduced the BMW HP2 Sport, for many Boxer fans has been a dream come true. Not only that, the BMW HP2 Sport is the sportiest and most suited to the present most powerful production boxer of all time - firmly on the needs of an ambitious two-cylinder sports rider, she was fascinated with numerous exclusive details on how they have hitherto found only in racing, and with the HP2 Sport in part their first appearance in series production vehicles stopped. 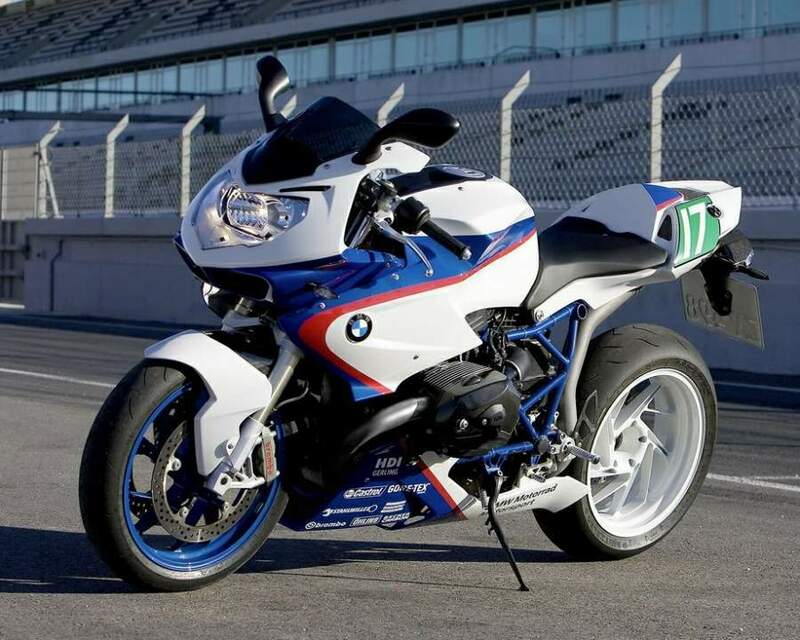 Now, BMW Motorrad is the street-edition model "HP2 Sport Motorsport follow. In several races, the HP2 Sport achieved in the past three years, numerous world sporting successes, including the BMW Motorrad factory team in selected races in the Endurance World Championship. Graduated with flying colors Rennboxer the renowned 24-hour classic, such as Le Mans and Bol d'Or. 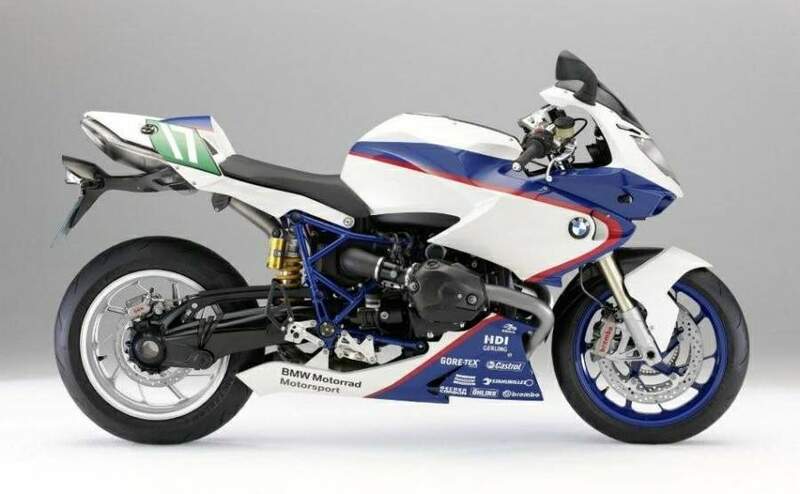 Following the Werksrennmaschinen are fairing, tank, seat, front fenders and engine spoiler in the Alpine White BMW Motorsport colors uni, lupine and magma red uni blue metallic paint. The machined forged aluminum wheels are kept in front uni Lupine Blue metallic, and later in Alpine White. Also aligned visually with this exclusive special edition of the green, black remote fields on the bib number and the seat hump Factory Sticker Kit entirely upon the successful work of the Team BMW Motorrad Motorsport racer. In technical terms, the HP2 Sport is like racing in 2007, featured HP2 Sport. The unit with two overhead camshafts and equipped drehzahlfesten finger followers for valve actuation cylinder boxer engine provides 98 kW (133 hp) at 8750 min-1. The maximum torque is 115 Nm at 6000 min-1, the maximum speed of 9 500 min-1. The stainless steel exhaust system is placed below the engine and dismisses the robust, inimitable boxer sound over an aerodynamically favorable muffler under the seat placed into the open. Another exclusive racing feature is the gear shift assistant, in conjunction with the racing close-ratio six-speed transmission, which allows fast gear changes without Gaswegnahme and clutch actuation. To reverse the shift pattern as required for the racing circuit, is a suitable replacement pressure sensor available as optional accessories. Even in terms of equipment and gear meets the sports rider at the BMW HP2 Sport at racer's racing technology. Thus, the spring elements of the fully adjustable Öhlins sports chassis and a Brembo brake system with radially mounted four-piston monobloc calipers ensure, even in the tough race track operation delay optimal. For optimum ergonomics make the adjustable footrests, forged aluminum, adjustable handlebar and the Magura-Radial-hand taps. Important information receives the pilot from the standard 2D dashboard that comes directly from the MotoGP sport is and can deliver ads to run alongside the usual lap times and other racer's relevant data. For all components was respected for consistent lightweight qualities. This includes not only the self-supporting front fairing and the likewise self-supporting carbon rear or the weight-optimized forged wheels, but also hidden details such as the light originating from the racing alternator. With only 178 kilograms dry weight (199 kg with full tank according to DIN), the BMW HP2 Sport Motorsport playful handling and high sporting potential - guaranteed on the highway as well as on the racetrack. Optional BMW Motorrad offers a customized sports use in the ABS. An additional pressure sensor in the front brake circuit permits a finer control of the system and prevents the control unit opens the front brake to greatly alleviate the rear wheel too early. Nevertheless, the ABS can be deactivated for the racetrack.End.